We learn through repetition. The voice we hear most often is our own, so what we say to ourselves is more important than we may realize. 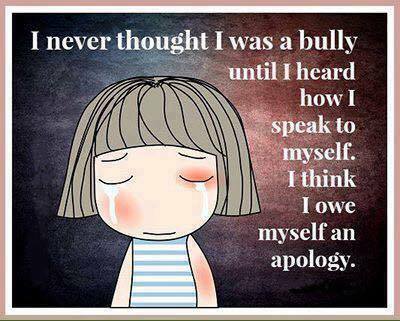 What if we imagined in our favour, supported ourselves through our self-talk and stopped bullying ourselves? We need to be our own best cheerleader.